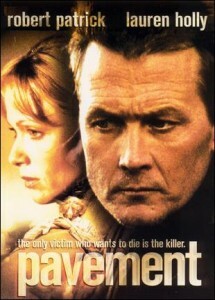 A nurse is found brutally tortured and murdered and Buckley Clarke, a tough homicide cop, is assigned the case. The victim's brother, Sam Brown is a reclusive wilderness tracker living in Alaska. He gets word of the crime and decides to undertake his own investigation. At first, Clarke is dismissive of Brown, but she's soon forced to acknowledge his skill at finding clues and tracking his prey. She allows him to participate in the investigation, and soon more victims turn up. The FBI becomes involved, convinced that there's a serial killer on the loose, and Clarke eventually realizes that the victims are not being chosen at random. Clarke and Brown grow increasingly attracted to one another as they hunt for the killer, but the killer soon learns that the intrepid pair is closing in, and the hunters become the prey.